Need some inspiration for your garden furniture this year? 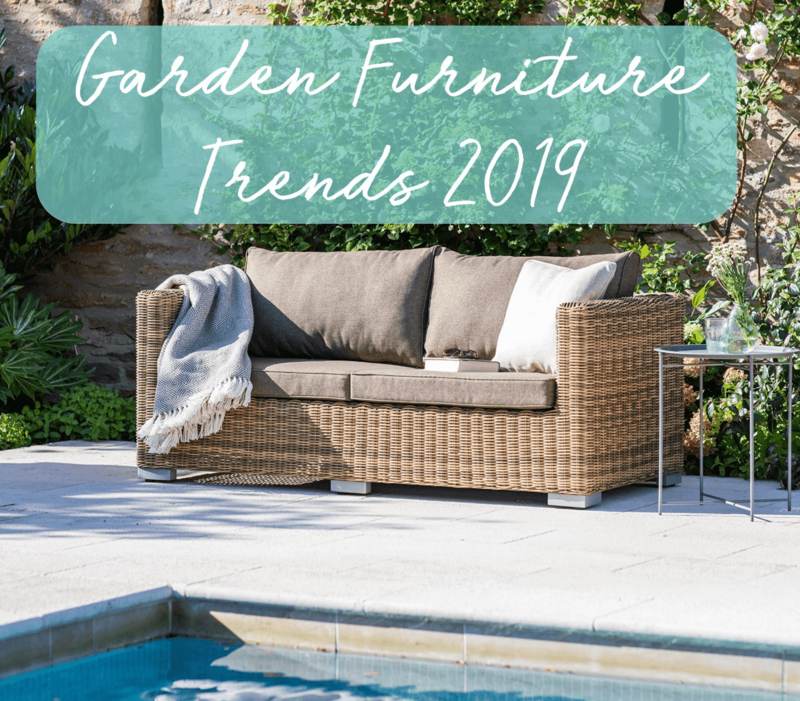 With summer just around the corner, we have picked some of our best lines for you to create the perfect garden space to entertain and relax. 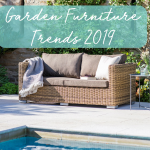 Whether you are having a total revamp, or just want to add to what you currently have, read on to find your new garden furniture addition. The big trend for 2019 is aluminium. 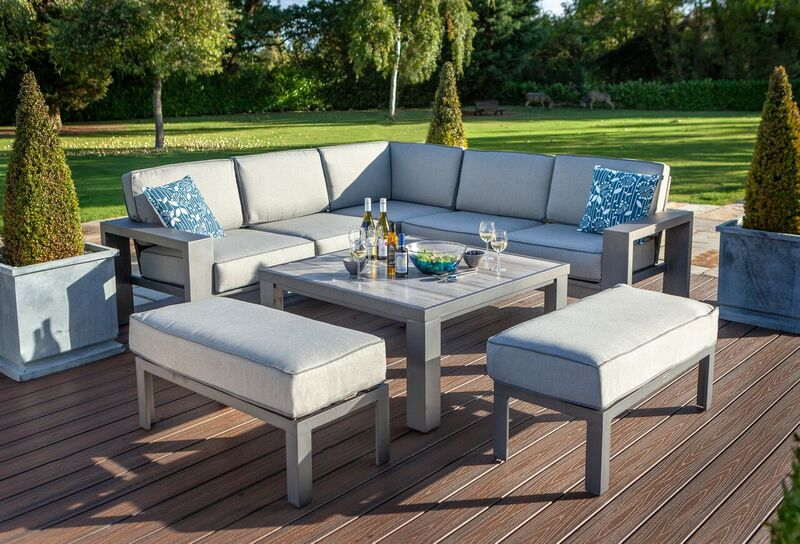 Set to be a best seller, the clean, sleek lines of the Hartman Titan outdoor corner set will look fabulous on any patio or decking area. The contemporary design is both eye-catching and stylish; you will be envied by anyone who sees it! The super comfy cushions make this set perfect for entertaining family and friends and will work for both day and night parties. If dining sets are more your thing, then you are in luck! 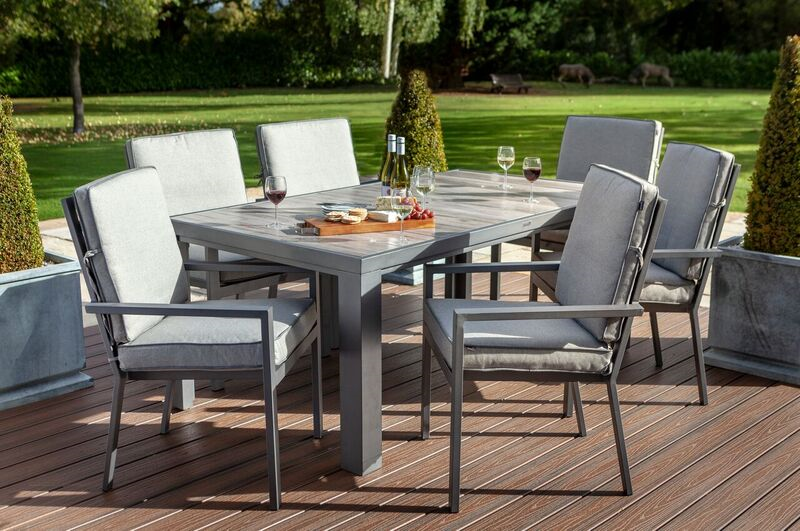 The range also includes a 6 seater dining set, perfect for alfresco entertaining. Ideal for summer dinner parties or casual family dinners, this will be a firm favourite for everyone. For those who prefer a more traditional style, try this 8 seater corner dining set. The weave finish in ivory is a move away from last year's grey, so you can stay on trend whilst keeping your own individual taste. The table comes complete with a glass top which is perfect for when you want to eat outside. The bench adds additional space so you can host all of your favourite people at the same time. 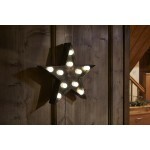 This piece is ideal for any patio or decking area. If you are looking for furniture that is for everyday use, to relax and chill on, then this is the piece for you. 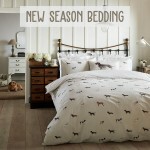 The mixed brown rattan finish is right on trend for the summer and will look stylish in all gardens. 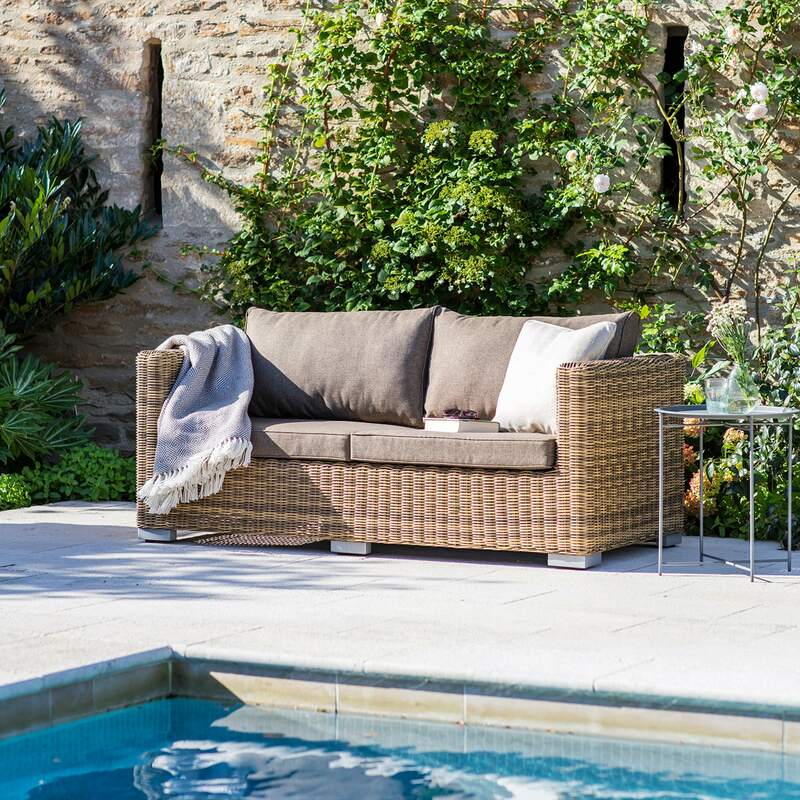 Whenever the sun shines you can lie on this sofa with a good book or glass of something cold and feel like you are on holiday, or spend your evenings under the stars with a blanket. 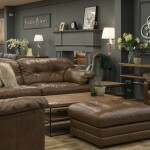 This sofa is the perfect piece to add to your current garden furniture collection or is ideal as a new starter piece. 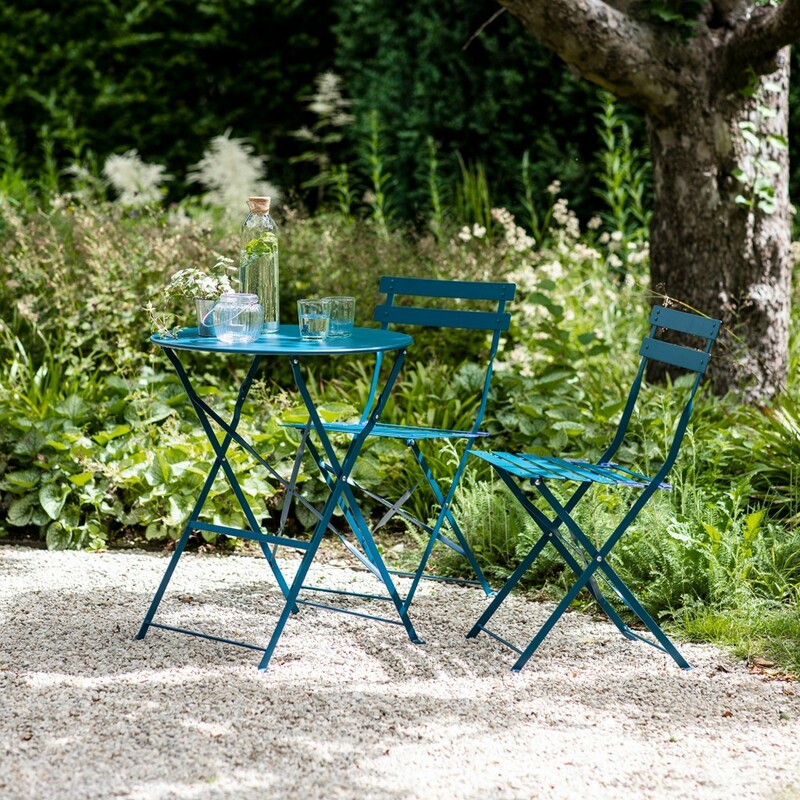 This cute bistro set will add the finishing touches to your garden. Its neat foldaway design is ideal for smaller back yards, balconies or even rooftop terraces. Teal is one of the big summer colours this year so this colourful set will look super stylish. This piece is suitable for quick lunchtime meals, or lazy alfresco evenings. Also available in the range is the teal tray table. 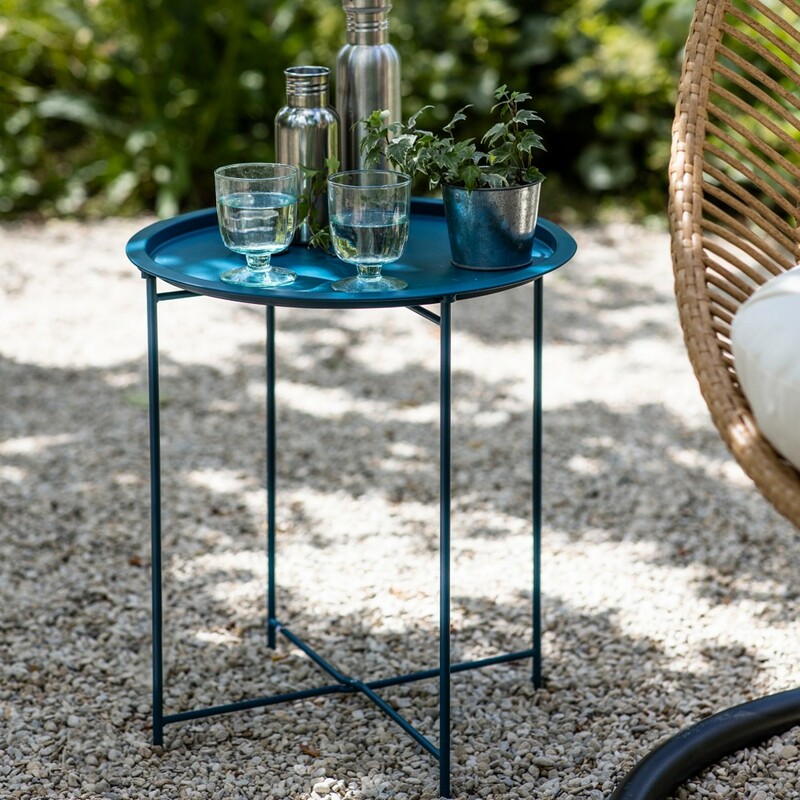 If you decide to have a picnic sat at your bistro set, this tray table is the perfect place to hold all your drinks. Its lightweight and foldaway design allows you can keep this stored away until needed, and can easily fit into place when the party has started. Looking for something a little different? 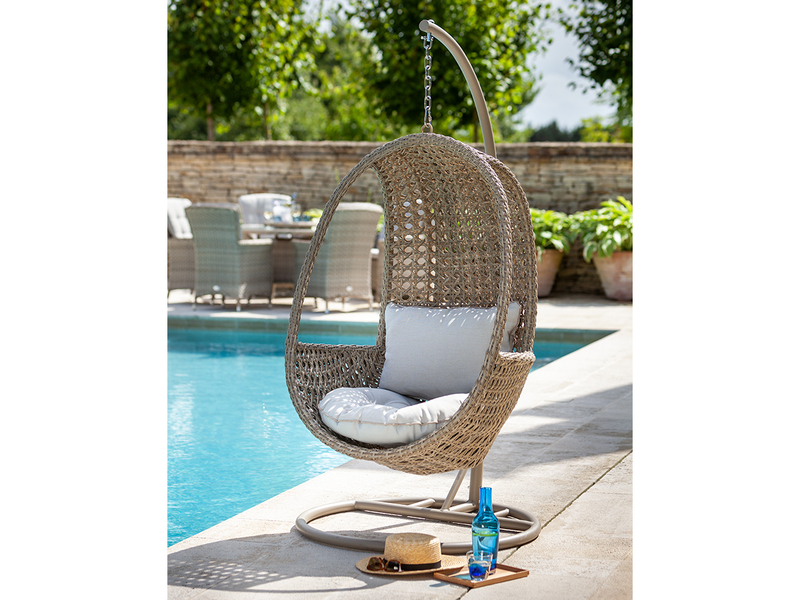 Take a look at this hanging chair. This resin weave chair is the epitome of summer comfort. Suitable for all garden types, including patios, decking and grass. Sitting in this chair in your own back garden will make you feel like you are on a beach a million miles away. The super soft and comfy cushions mean you can spend hours relaxing outside, reading a book or simply enjoying being outside.